So another Peking duck place, what's so special about it? What's with the buzz on this hotel restaurant located in the middle of ... hummm .... Sha Tin / Tai Wai right beside The Chinese University of Hong Kong? I was here to find out. We actually walked in without a booking at around 9pm and soon after we were seated we asked for the whole Peking duck for the three of us. We were kindly informed that since we did not book in advance, longer wait time was required to prepare the duck. How long? Well, they said 1 hour but we got our duck within 20 mins, so what a larger buffer time they imposed to manage diner's expectation! 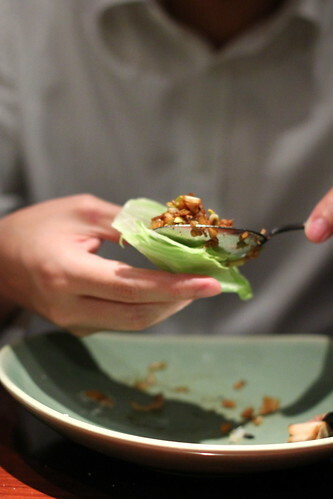 First was the skin, a thin layer of the skin (without any meat) which was very crispy and literally melt in your mouth! Well, those were fat that just melted in your mouth. Instead of wrapping this in the pancake, we were suggested to eat them with just a sprinkle of sugar, one of the three side sauces that came along. Second serving was pure meat, breast meat to be exact. Slight dry but remained very flavorful and firm to the bite. This one you can eat by itself or wrap in a pancake. The third serving was the dark meat with skin. Juicy and tender, thumbs up! The rest of the duck / meat was chopped up to prepare the minced duck with lettuce wrap. It was overly salty if you ask me, I needed to add extra sweet sauce to balance the flavors. Oh yes, a bigger lettuce wrap would be nice! Really tough to shove the minced fillings into a spoon size lettuce! 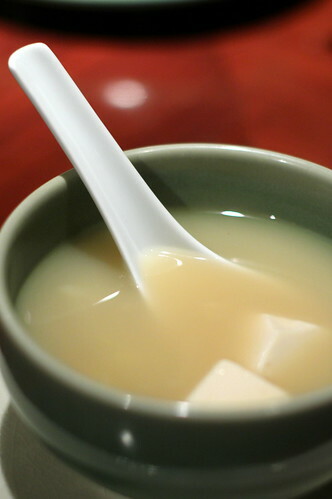 In additional the various wraps, part of the duck was made into a tofu soup. Flavor was not as strong as it looked but using every bit of the duck in one meal was the way to go! 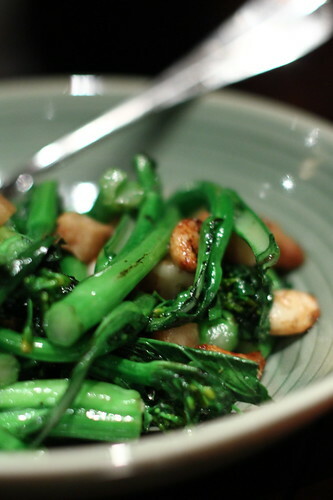 Although just the three of us, we were still pretty hungry for some reasons so we ordered Wok-fried Choy Sum, garlic and crispy Pork Fat. Yes you are right, Crispy Pork Fat, diced up into little cubes! Definitely not for the light hearted! Not exactly what I called a healthy veggie dish but it was surprising de-'lightful.' The Crispy Pork Fat was firm to the bite and tasted like pork, not as fatty or greasy as I expected it to be. A bit too salty but fair enough. 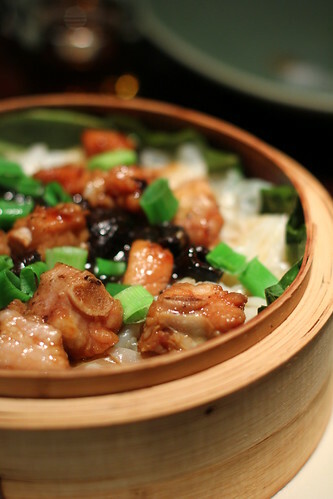 Steamed Pork Ribs, Preserved Black Olives and Chenchuan noodles. One of my favourite dish but here the so-called diced preserved black olives were too big in my opinion, the size would make every bite every salty. Time for desserts! One can walk up to the dessert area and pick your sweets. 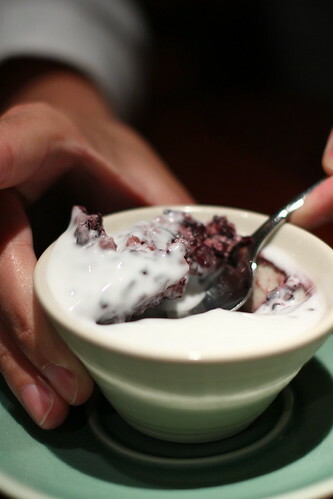 We started out sweet courses with a purple rice pudding. However, I think it was a little bit too sweet and too firm from over chilling. 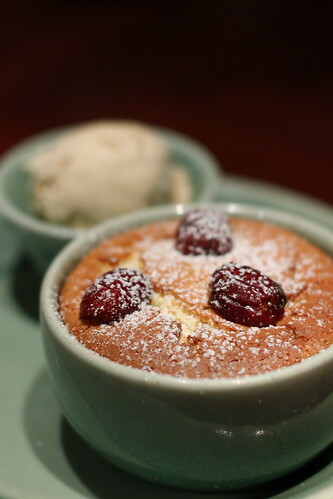 The more interesting dessert was the Red Dates Steamed Cake. However, it was overly moist in the center and made me feel like it was a pudding that I was having. Flavors were ... confusing, part sweet and part ... floral aroma. 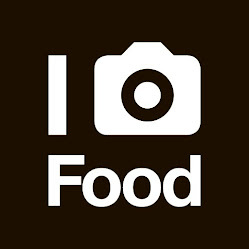 Hard to describe, give it a try yourself. Steamed Pork Ribs, Preserved Black Olives and Chenchuan noodles: the preserved black olives can be smaller to avoid overly salty flavors. 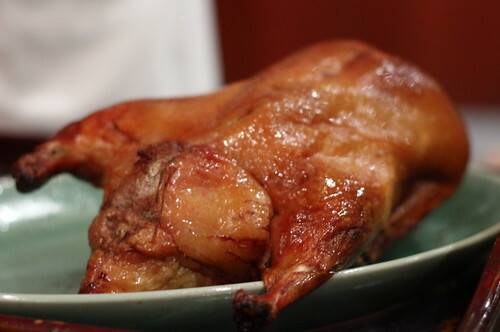 @Rita: the yummy fatty crispy duck is waiting for you! @Christina: yeah! Peking duck gathering sounds good! ohh ... Tungs too? Thanks for the info! @HK and Macau Fine Food: Stuff by overcooked pasta I assume? that looks so good!! 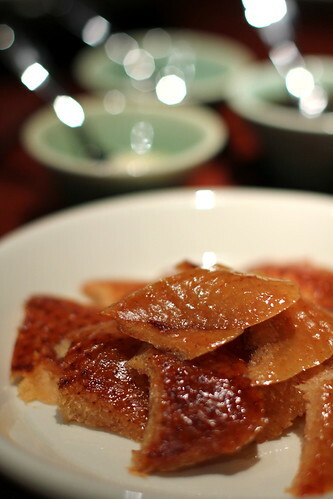 i remember the first time i went to a restaurant (in beijing) and they asked us to try the skin with sugar.. i was so weirded out, but it's so good! 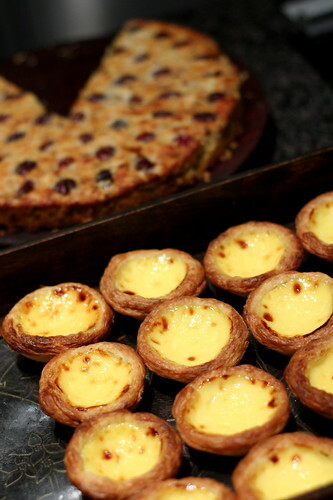 PS how were the egg tarts? This reminds me that it's been ages since I've had Peking duck. Usually I've gone to Peking Garden in Central or American Restaurant in Wanchai for my PD fix but perhaps we'll give this place a try very soon! 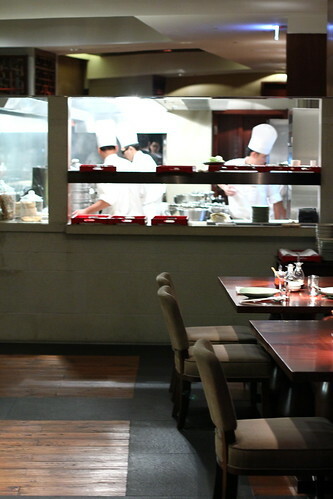 BTW, Cucina at Marco Polo Hotel features two menus - one Cantonese, one European - and two open kitchens. They have a pork belly dish there that is slow cooked for 3 days - only available on Fridays or book 3 days in advance; it's amazing. 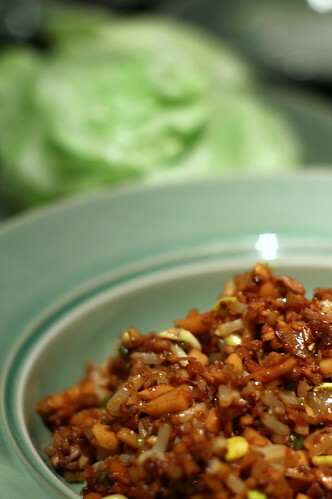 @Spike: Wow, the pork belly dish sounds interesting, I think I will give that a try soon! Thanks!!! 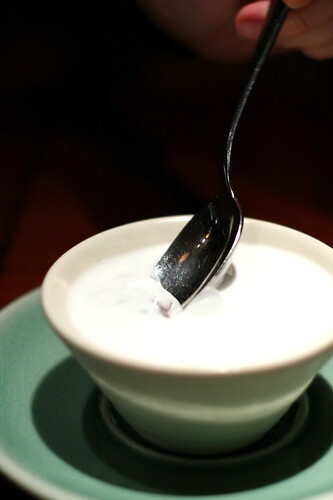 I am yet to try the American Restaurant in Wanchai, heard mixed reviews but I think it is worth trying for its history. 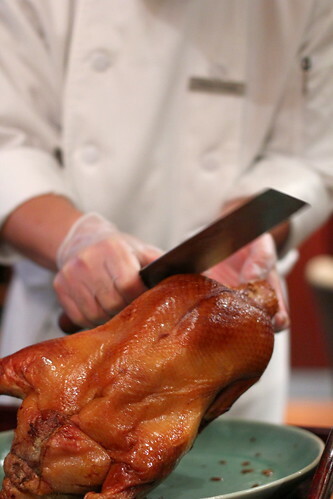 I remember some old Peking restaurants in HK were serving Peking duck in this way 20 years ago. Can you tell the different? 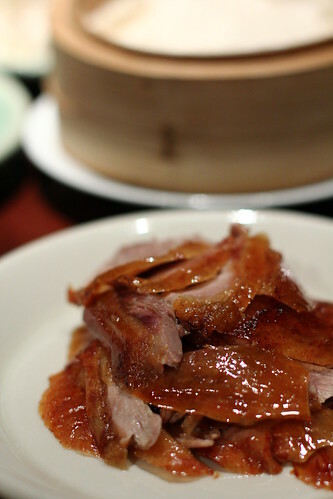 Peking duck or Beijing duck. 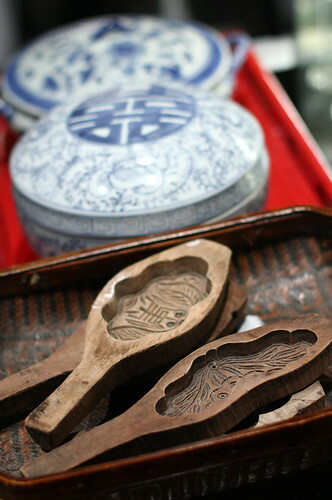 For the rest of dishes are more like 客家菜. @Norman: haha ... 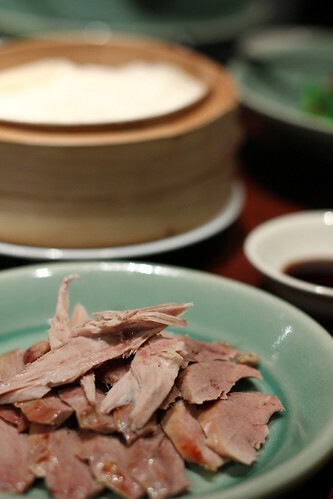 I am yet to find a good place to Peking duck in HK in terms of consistency, I hope this place can do that when I visit again soon.